Co-op is kicking off Back to School 2017-18 with the opportunity to outfit everyone you know in some Co-op gear! 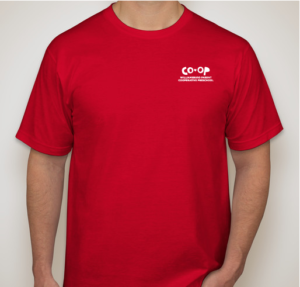 It’s a great way to help build and support our Co-op community while looking fashionable and feeling comfortable! Pick some shirts from the 6 different styles and two different color (Team BLUE and Team RED) choices that are sure to become your new go-to Co-op favorites! Remember the shirts are only available for a limited time (25 DAYS), so check them all out soon!